Make Christmas bedtime really magical with our cuddly personalised Bertie Bear, personalised cosy bathrobe and Bertie’s favourite Christmas book to share with cuddles. Make Christmas bath and bedtime extra special with our personalised Bertie Bear and bathrobe. The super soft bathrobe is perfect on cold winter evenings or to keep a little one cosy after bath time and adding their name in beautiful embroidery is a lovely personal touch. Bertie Bear proudly wears a jumper displaying little one’s name and brings his favourite Christmas book to share make this a lovely Christmas set. Bertie Bear is a traditional style seated teddy bear with a subtly embossed white ribbon bow around his neck wearing a beautifully knitted jumper embroidered with the name of your choice. His luxuriously soft plush fabric makes this bear an irresistible cuddly companion. The 100% cotton bathrobe is available in sizes, 6-12m and 1-2 years and has two pockets, a waist tie and a hood. It is beautifully embroidered with a teddy motif and your choice of name (up to ten characters). 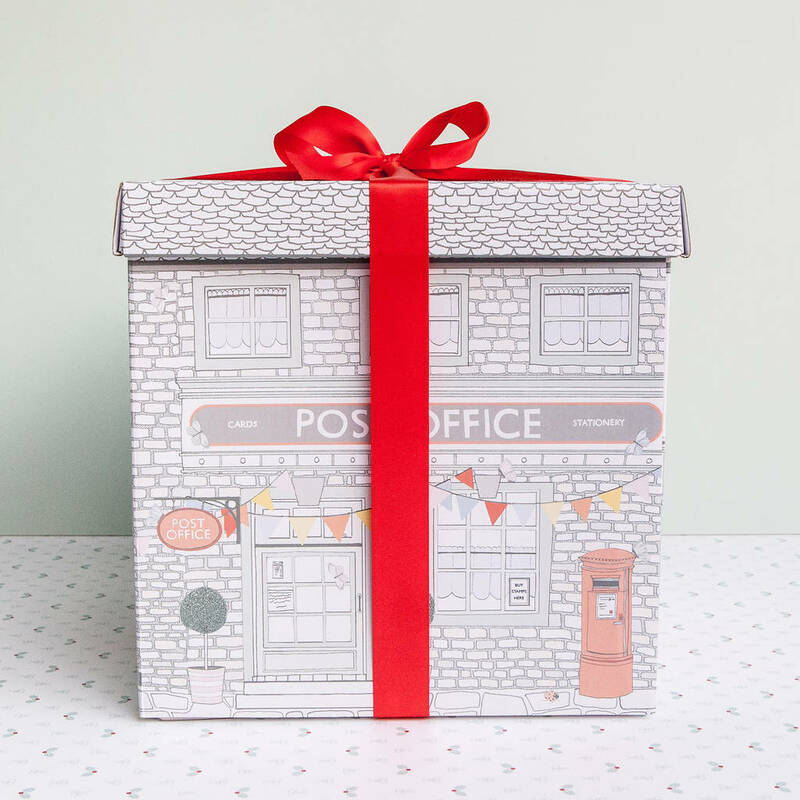 This gift set comes beautifully packaged in one of Babyblooms’ exclusive illustrated gift boxes.